For nearly a month it rained almost daily in Central Pennsylvania. 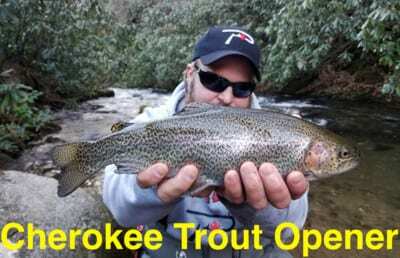 The month was wet and made trout fishing challenging due to high water. In fact, we lost many days because creeks and rivers were too high and muddy. Fortunately, the waters have receded and are fishable again. The good news is fishing pressure has backed off drastically just like flows have and the trout bite is good. The PA fish and Boat Commission is mostly done stocking all our rivers and creeks in the region for the year. However, many of them are still full of trout. 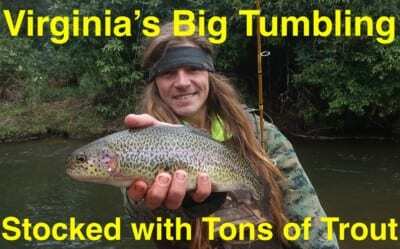 While the high water wasn’t good for anglers in May it did wonders for the trout. It allowed them to spread out after being stocked rather than being caught right away, as they would have if our waters were slow and clear. One of the systems fishing the best right now is Bald Eagle Creek. Following normal trout stockings and extra fish being stocked for derbies in April and May the creek is still full of trout. The stretch from Port Matilda to Milesburg (more than a 20-mile long stretch) has high numbers of trout now. While most of the golden rainbows have been caught rainbows are still plentiful. We’ve been catching mostly rainbows from 10-14 inches and a handful of browns. Now that the water has come down trout have made a home in the deeper holes, around any cover, be it trees, boulders, bushes, etc., and also beneath under cut banks. There are hundreds of roadside areas over dozens of miles that provide access to the creek. However, to catch the most trout get off the beaten path where you’ll find less pressured trout. Keep in mind that the high water spread fish throughout the system. I’m still fishing with bait under a float, but have dropped down to two-pound test leaders because the water is becoming clearer each day. 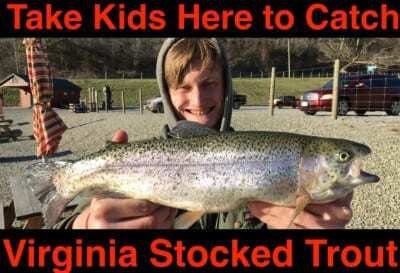 These trout have been pressured for a few months. Light tackle gains bites. We’ve also scaled back to a size 12 Gamakatsu single salmon egg hook. For the past few weeks I’ve been getting most of my bites on Pink Shrimp and Gold Garlic Fire Balls, Pink Shrimp Pautzke eggs, Gold Label salmon eggs and Garlic Salmon Egg Fire Bait. 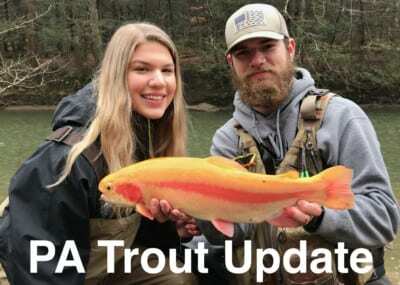 Editor’s Note: For more information on Pennsylvania trout fishing please visit http://www.fishandboat.com/Fish/PennsylvaniaFishes/Trout/Pages/TroutSeasonOverview.aspx. To follow Trophy Chasers Outdoors please visit https://www.facebook.com/TrophyChasersOutdoors.